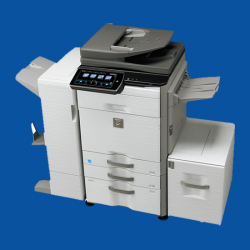 Copy Print Scan are committed to provide sustainable products and services to its customers. 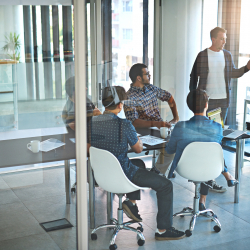 A key element is ensuring that our existing and potential customers are supported in handling waste consumables from products, such as: empty toner bottles, inks and cartridges, to ensure environmental obligations are met. UK Businesses should not dispose of these items in their normal waste streams, but retain for disposal in our Toner Recycling boxes, available to all our customers. When we work together as companies and consumers the impact we can have is greater. We would very much appreciate the support of our customers, in helping to reduce our combined environmental impact. Help us, help you, to meet your environmental and sustainability objectives. The Toner Recycling Scheme is available to all CPS customers. You will be provided with a box to put all your ink cartridges, toners and consumable parts into, you can put any printer consumables and toner cartridges into this box, even ones not originally supplied by CPS. 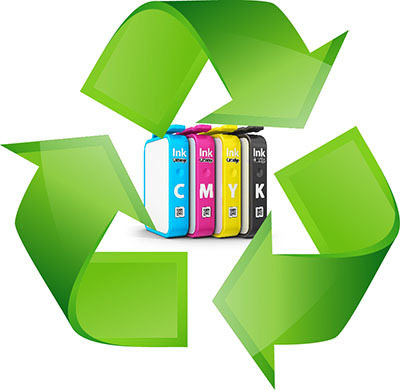 When the box is full, you simply ring the number on the box and it will be collected and removed for you and a new box put in its place, upon disposal of your ink cartridges and consumables, you will be provided with a waste disposal note which we also will have a copy of. Once collected the toners will be recycled on your behalf, saving you the hassle and giving you peace of mind they have been disposed of correctly. A recycling scheme also prevents cartridges reaching landfill and the need for new materials being sourced. A typical cartridge is 40% plastic, 40% metal and a smaller percentage of rubber, foam, paper and toner. Using a recycling scheme prevents air pollution, which would be created during the manufacturing process of creating new cartridges.